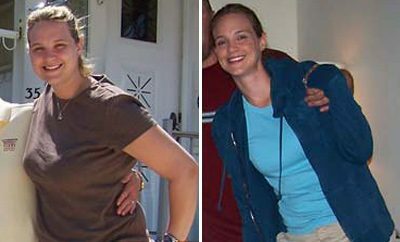 How I Gained It: Obesity runs in my family, plain and simple. I had no concept of healthy foods, portion control or the importance of exercise. It wasn’t for lack of trying, because I was involved in all kinds of sports (since my dad is a sports nut), but I was always bigger than all of the other kids. I don’t remember a time when I wasn’t big; it was just who and what I was. Although I was made fun of a lot as a kid and was often looked over by boys I was crushing on, I still journeyed on, dreaming one day I’d be something more. I had developed a passion for music and theater at a very young age, and would often perform for my stuffed animals in my room. The weight didn’t stop me from being a diva! My aunt, whom I was very close to and who passed away from cancer a few years ago, constantly had me on diets. Each summer when I would visit, whatever diet she was on, I was on. As a young girl, I was on every diet pill imaginable and was even on the new Atkins diet. I don’t remember ever losing weight though and was often sad because I felt so ugly. I remember shopping with my grandmother in the women’s department at only 11 or so. This continued on into junior high school, high school and even into college. All through this time of self-loathing and self hatred, I performed in musicals and sang in various choirs at school and church. It was an outlet for me and still is to this day. Breaking Point: I was 24 years old, suffering from depression as a result of my grandmother’s death and was beginning to feel ill a lot more than befitted someone of my age. There would be days when I would have a sharp pain in my abdomen, and it would hurt so intensely that I had to spend some time in the ER because of it. Finally, I got a full workup with my doctor and she revealed to me that the levels of fat in my liver were through the roof. When I saw how my lifestyle was hurting my body, I cried. I’ll never forget my doctor telling me that if I didn’t do something I was going to need a new liver in a few years. She even suggested that I be put on cholesterol medication. 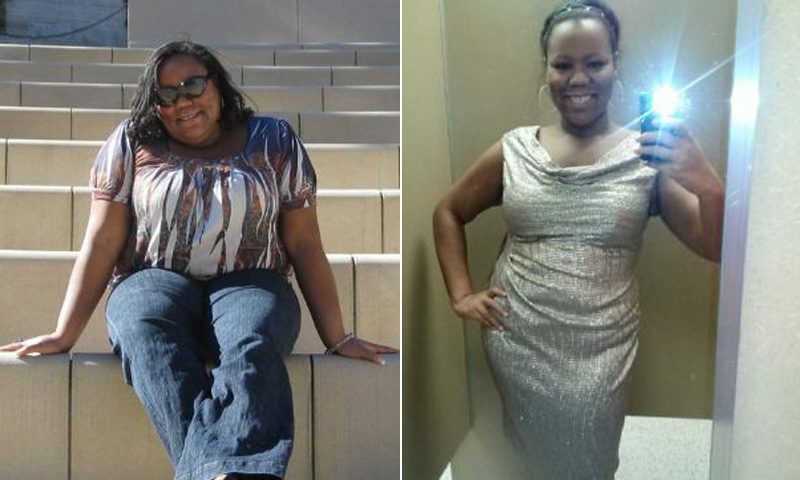 My weight affected every aspect of my life very negatively, and I was sick of it. The weight had to go, and I had to change my life. I knew that once I lost the weight and got my health in order, I’d be able to conquer the world. How I Lost It: Immediately, I sought out weight loss surgery but decided it wasn’t for me. I then did a medically-supervised liquid diet, but also learned that that wasn’t for me. 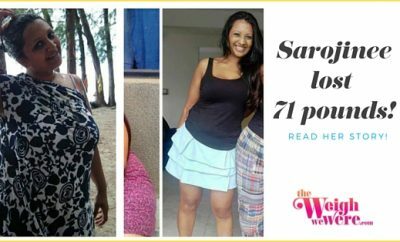 I then found the weight loss website SparkPeople, and it changed my life. With SparkPeople and the support of my mother, I learned about portion control and the importance of exercise. I teamed up with a friend from one of my shows who is a personal trainer. I started running and ate very healthily. At first it was a hard concept for me to learn, but once I saw the results on the scale and in my clothes, I was fired up. SparkPeople’s Nutrition Tracker and SparkGroups were absolutely essential to my weight loss, and without them I doubt that I’d be where I am today. During my journey, I checked back with my doctor and found out that my liver levels were now absolutely normal. I was ecstatic and beyond relieved! Since I suffer from emotional eating and depression, it was extremely hard not having food to turn to when I was upset, but I persevered. I wasn’t perfect by any means. I slipped up a lot, was hard on myself a lot, but I never gave up. When I performed, I was able to stand on stage with more confidence then I had ever known in my life and embrace who I was. Originally, my goal was to go from 285 to 200, with my goal size being 14. Well, I hit that and then some, getting down to 185 and wearing a size 12. 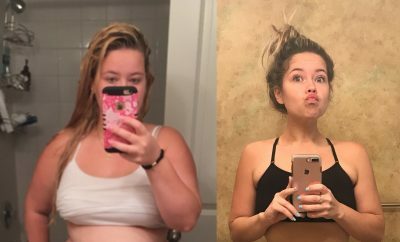 One hundred pounds were gone from my body! I’m more comfortable in my body than I ever was before and have embraced myself completely. My goal is to lose an additional 15 pounds in 2013. I am participating in my first 5K. I’m able to fit on rides at Disneyland that I was afraid of before, wear clothes from my mother’s closet (much to her chagrin), shop pretty much anywhere I want and recently was cast in a role that I never would have gotten when I was bigger. Before, I was always cast as the matron or mother figure, and now I’m a love interest! I’m grateful and extremely blessed. Weight loss is so much more than a number on the scale and smaller clothes. Weight loss for me was a lifesaver. Now I can honestly say that both onstage and off, I’m thriving. Wow, you look amazing! And look at that smile. It says it all!